The WIC (Women, Infants and Children) Special Supplemental Nutrition program is a federal assistance program managed by the federal government, specifically the US Food and Nutrition Services part of the Department of Agriculture. This program targets low-income or nutritionally at-risk populations of women, infants and children to provide supplemental food benefits. First established in 1972 as a two year pilot, the program was permanently established in 1975 and now serves around 53 percent of infants born in the United States.  This dataset shows monthly WIC participation data for Austin Public Health since October 2013, with variables such as Total Women, Total Infants and General Admin Money.